Maqsad e Hayaat: #2. 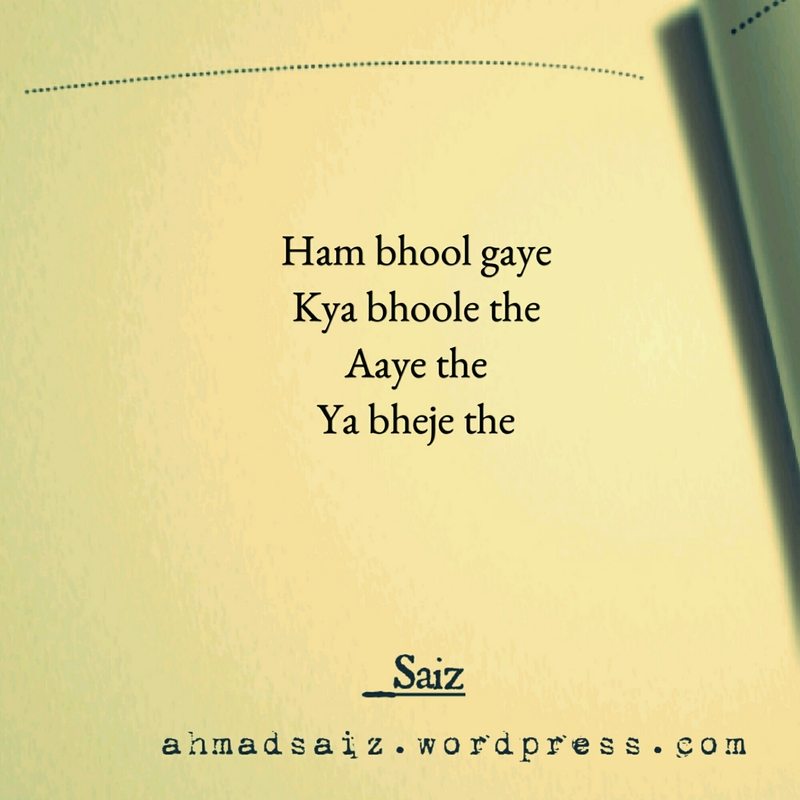 ~Ham bhool gaye, kya bhoole the~ – I'm Here; Right Here. I tried hard to maintain the new style into this streak. I just did not get the confidence. I’ll let your comments decide. Drop by one. Note: In case if you missed the previous number. It hit me. Beautiful stuff. Now I am more confined than confident. I’m glad I could make an impact. This is not bad actually.